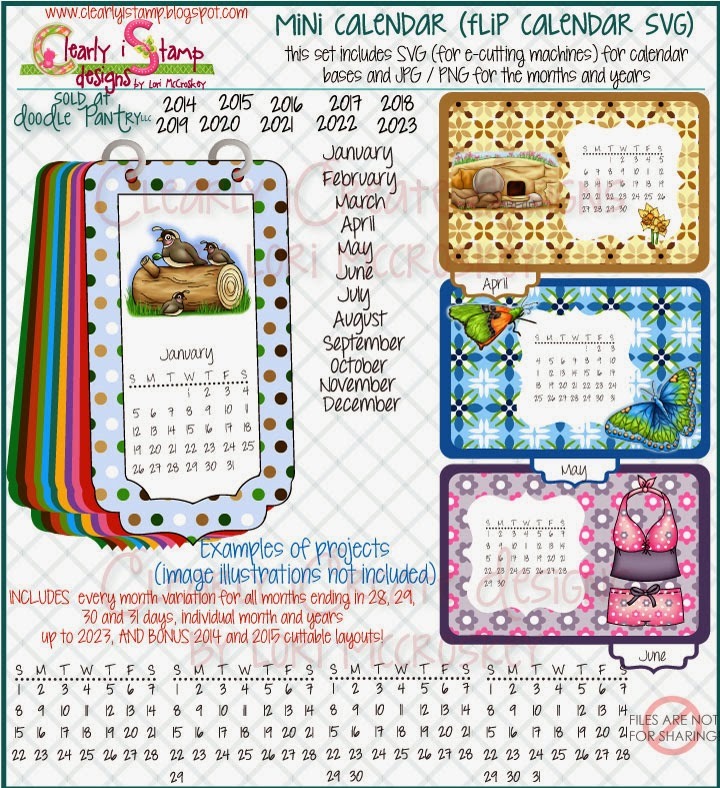 Clearly iStamp: March 2014 Release & PRIZE: Scrapbook SVG, Puppy SVG, Purse SVG, Birdhouse SVG, AND MORE! 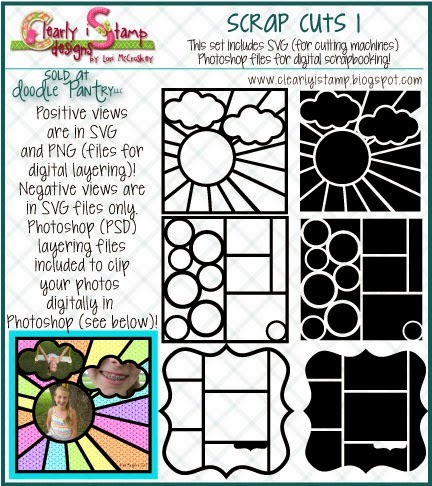 March 2014 Release & PRIZE: Scrapbook SVG, Puppy SVG, Purse SVG, Birdhouse SVG, AND MORE! It is time for some new SVG files for the month! Instead of doing one huge post today, I am going to feature each one for the next week and show you what I have been doing with my SVG cuts! I will be walking through all my creations with my new SVG files for the next 7 days! Make sure to come take a look and leave a comment each day! Scrap Cuts are new to my line up this month! I have been teaching a scrapbooking class at our Homeschool Coop this semester, so I have been creating some templates for us to use! Let me know if you like these! I would love to receive suggestions! Go to Scrap Cuts SVG in the store here! 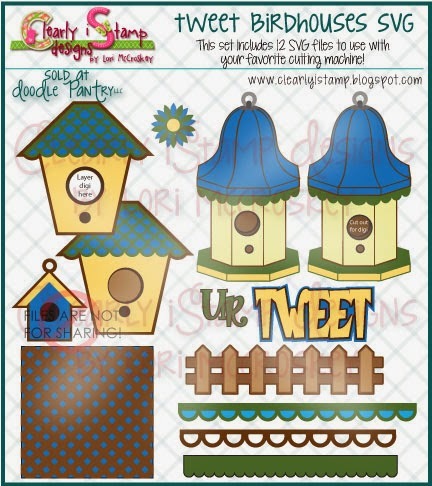 These next two sets are designed directly from Laurie's Purse Parfait Digital image set and Tweet Birdhouses Digital set. Combine the SVG with the digital images for stunning creations! 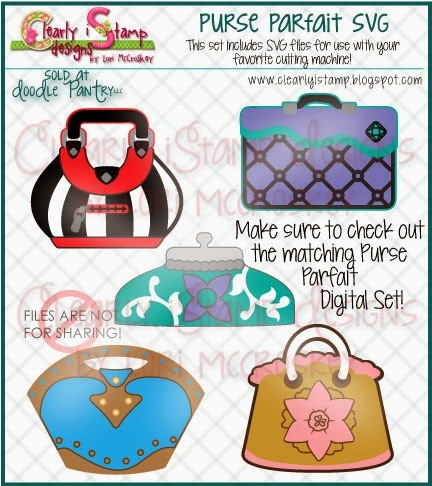 Go to Purse Parfait SVG file in the store here! Go to Tweet Birdhouses SVG in the store here! My daughters are nuts about dogs! As I said, we are doing a scrapbooking class (which she is taking) so I have been creating embellishments for her to use for her puppy pages! She is very happy! Go to Ruff Day SVG in the store here! Another wonderful Card Cut to layer with your digis! Go to Card Cut 4 SVG in the store! These cute little tags are perfect for gift tags, scrapbook page tags, and so much more! How about tagging some of their lunch with little tags to brighten their day at school? 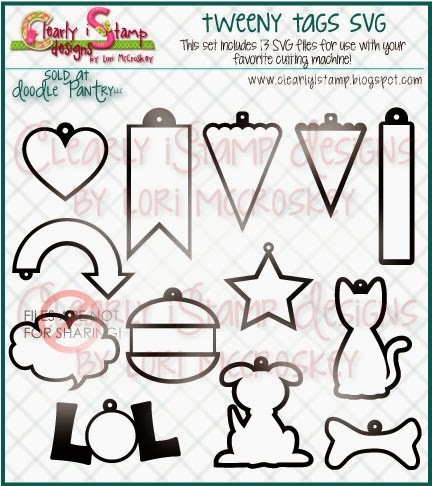 Enlarge the banner tags and make a cute banner for a party! Go to Tweeny Tags SVG in the store here! Last month I introduced my first Paper Cut file....I hope you have been enjoying it! This month I have a wonderful flower cut for you to create with! Go to Paper Cut Flowers in the store here! Do you love creating your own calendars? Do you like giving calendars as gifts? With this set, you can pair your digis with any of Laurie's digital images to create adorable calendars! I'm going to try and get one done to show you next week.....so stay tuned! Go to Mini Calendar in the store here! Now don't forget to leave a comment and let me know what you think! what can one say, you do awesome work! What an awesome set of cut files. There is something for everyone. I really like the sun pattern. The colors you used on the sample is so bright and cheery. Something to make me smile as we wait for yet another winter storm. Spring, take me away! Oh my Lord!!! I love, love these new files!!! You did an amazing job for these and I was looking for these too! Perfect timing!!! Your SVG Releases for March are amazing! Love the variety! I LOVE the Scrap Cuts 1 set. It could be used to make cards too.